The teaching profession is largely understated, in my opinion. Perhaps that has something to do with the fact that I come from a family of educators, but even those who may not have been exposed to this side of education will find it hard to deny the fact that what teachers do is not an easy task. More than imparting knowledge to their students, teachers also have to deal with other tasks. Among these tasks, classroom management is high up the list. It’s basically being able to handle the class as a group and as individuals and being able to encourage proper behavior. Call it crowd control in an educational setting. This is what the app ClassDojo aims to address by providing rewards to students who exhibit good behavior. Basically, ClassDojo introduces the idea of gamification to the classroom. If you think about it, the idea of giving positive rewards in school has always been employed. Even in kindergarten, school children are given stars as symbols of rewards. The difference that ClassDojo offers is, obviously, the technological aspect. It’s like a high-tech star system! Of course, the teacher needs to have resources in order to use ClassDojo. The good news is that the system is free. 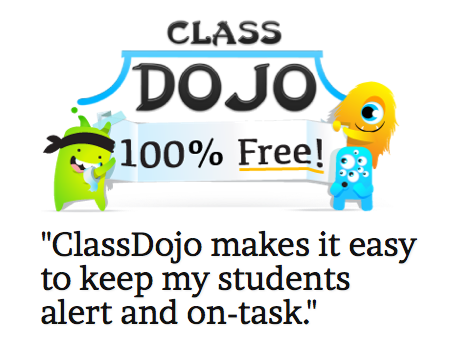 Anyone with a computer or smartphone can set up a customized ClassDojo system. An Internet connection is required, though. Here’s a quick look at how the app can be used to your advantage. Sometimes, I think that there are way too many apps to be had these days. When I run across apps like ClassDojo, though, I have second thoughts. Are you an educator? What do you think of ClassDojo? Why not give it a try? Hi there – Kalen from ClassDojo here. Thank you so much for the wonderful post – we are a really small team and greatly appreciate the support! You’re welcome, Kalen. Best of luck to you and your team!